CEF3D – Centre d'Études en Fabrication Additive / 3D, fusion laser sur lit de poudre métallique. 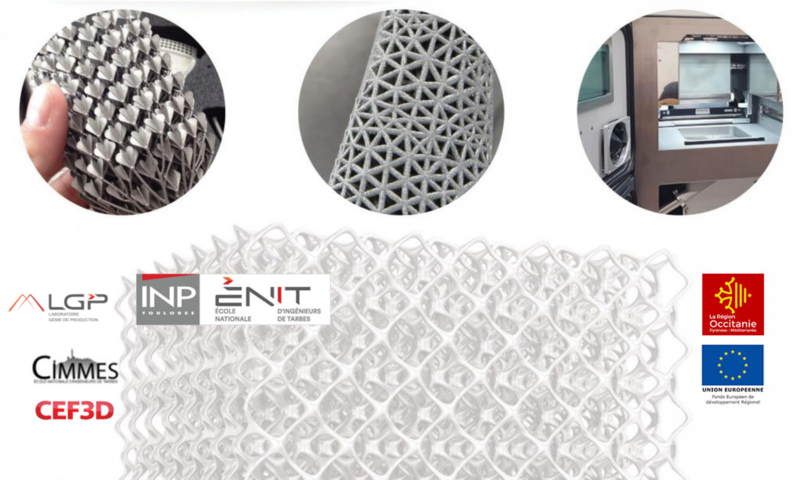 The ENIT Production Engineering Laboratory (LGP, EA 1905), which is multi-disciplinary, have a Mutualized Structure Research («SMR», Financed by Occitanie Region and Europe) with companies covering the entire value chain of metal additive manufacturing on powder bed (3D machines builders, powder making, designers, 3D printers companies, end-users). 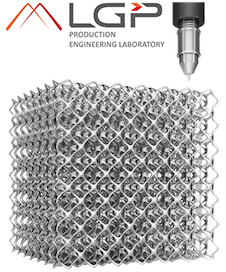 This technology transfer structure is open to companies of all sizes to support their innovation processes in the field of additive / 3D metal manufacturing. 2 dedicated engineers: Dr. Pierre Selva (calculations and measurements), Mr. Antoine Vezirian (production). 1 Administrative Manager and projects manager: Mrs. Mathilde Andre. Support of the 54 teacher-researchers of the laboratory, covering mechanics, materials, control and decision systems. 3D Systems 3D ProX300 machine. Support of laboratory test facilities (equipement list here, in french). Behavior machine and process control. Analysis and optimization of finishing operations (like machining). Analysis of microstructure and metallurgy generated by laser fusion. Numerical simulation and advanced laws of behavior of materials. Nonisotropic behavior laws with localized defects. Numerical modeling and optimization of process parameters. Characterization of the mechanical properties.